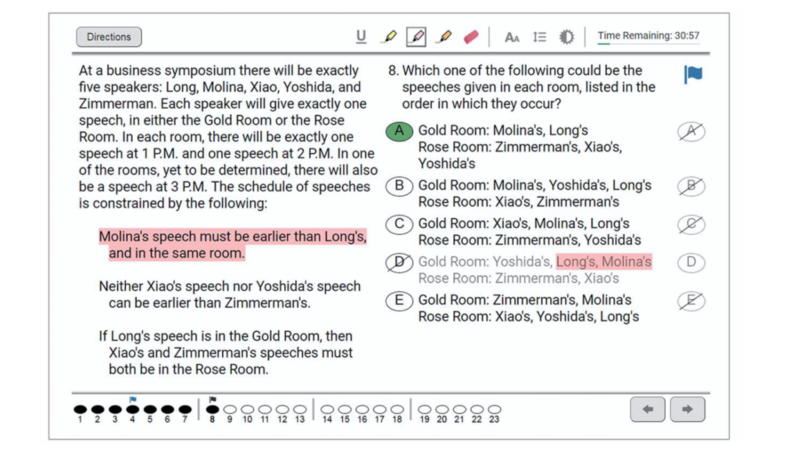 The LSAT is going digital. No more pen and paper. 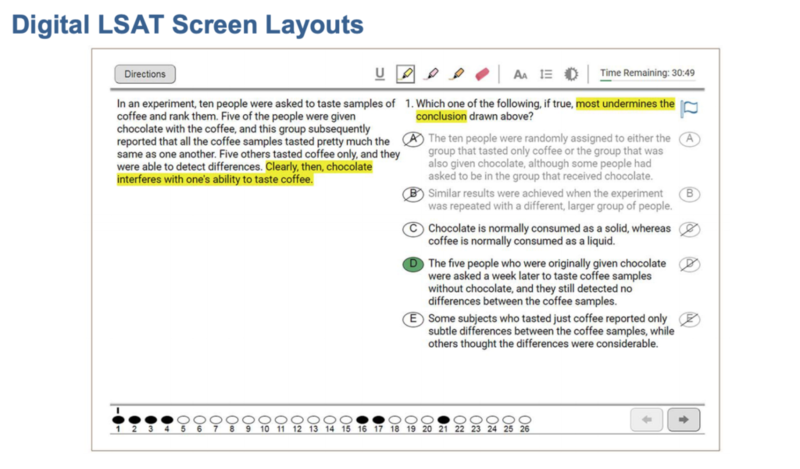 In fact, they've leapfrogged GMAT and GRE and will be offering the test not on a desktop computer but on a tablet. They hired a really fancy marketing guru and came up with a new name for the test or at least the transition: Digital LSAT! We're getting more LSAT administrations. It's not like the GMAT or GRE, offered every day, but LSAT is ramping up from 6 to 9 per year. Test takers will be able to preview scores before cancelling them. The essay is "take home". You can complete it at your own pace within a year of taking the exam. We'll be following these updates and incorporating everything new in our GMAT vs LSAT mega guide! Here's the full press release for digital LSAT and the computer LSAT FAQ.